Hiking and Cycling in Africa is truly an amazing experience. Explore this amazing continent on foot and bike. See all Africa has to offer at a leisurely pace with Green Hills Ecotours. 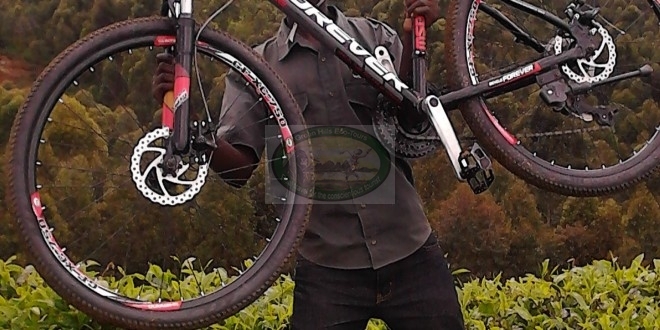 Hike and Bike Adventures in Burundi is a unique specializes in multi-sport adventure travel tours inside the rural of Africa provided by Green Hills Ecotours. Customized private holidays are available, as well as volunteer adventure trips, active family vacations, active honeymoons, and corporate team building holidays. Biking, hiking, whitewater rafting, sea kayaking, horseback riding are just a few examples of the multi-sport activities that we can build into your dream vacation. Our destinations include Rwanda adventure trips, adventure tours in Burundi, Uganda adventure travel, East Africa multisport trips, and Congo adventure tours. These are among the best adventure tours in Africa. On a Bike & Hike adventure our focus is getting you off the tourist trail and authentically meeting the local people. Bike&Hike’s adventure vacations are single friendly, with no extra fees for solo travelers. Give us a call and take the first step towards booking an unforgettable adventure vacation!